We've almost made it to the weekend, friends! And I now have ONE sleep until my family gets here...and I have SO much cleaning to do today. Lol! Our house is teeny, so it doesn't take me very long to get it into shape. I used this stamp set as is, but it totally works for Christmas as well! 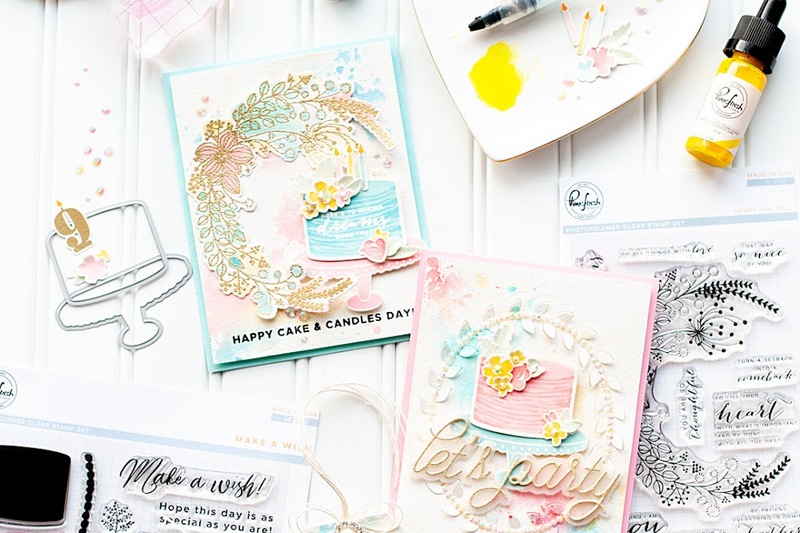 You can see how my friend, Yoonsun, used it for a lovely Christmas card in this post on the Pinkfresh Studio blog. 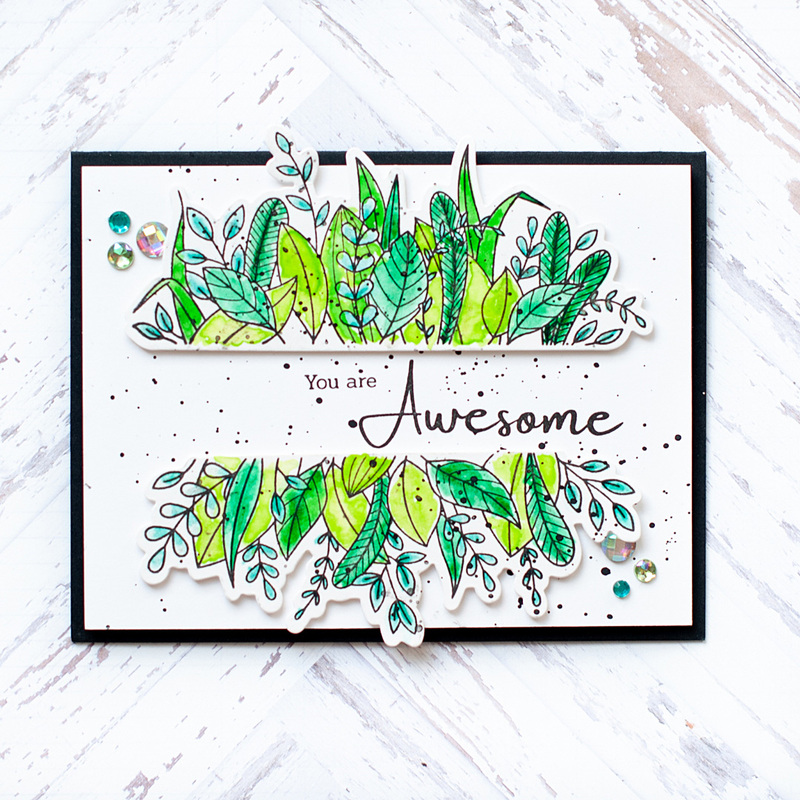 My good friend Caly created this lovely card when the set released, and while she didn't use a Christmas sentiment...the coloring is PERFECT for the holidays, and the sentiment could be easily changed out! 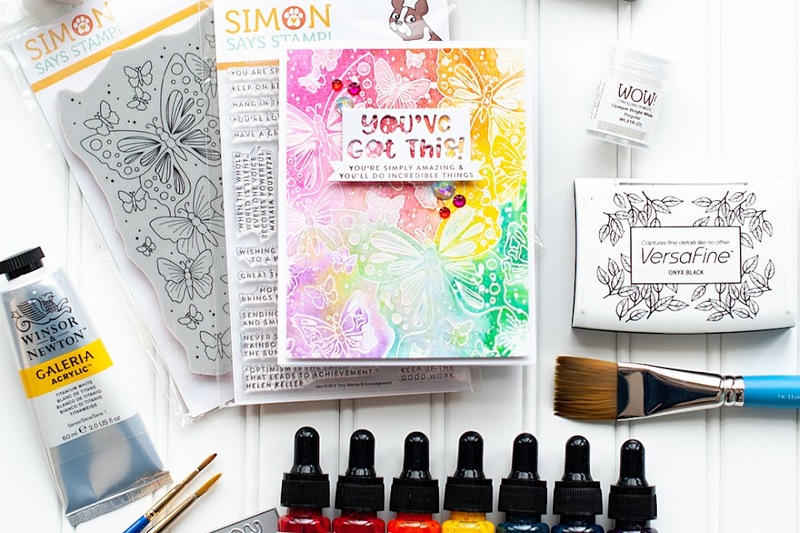 I'm always in awe of what my crafty friends are creating, and I'm going to try and share them with you here & there throughout my posts from now on! 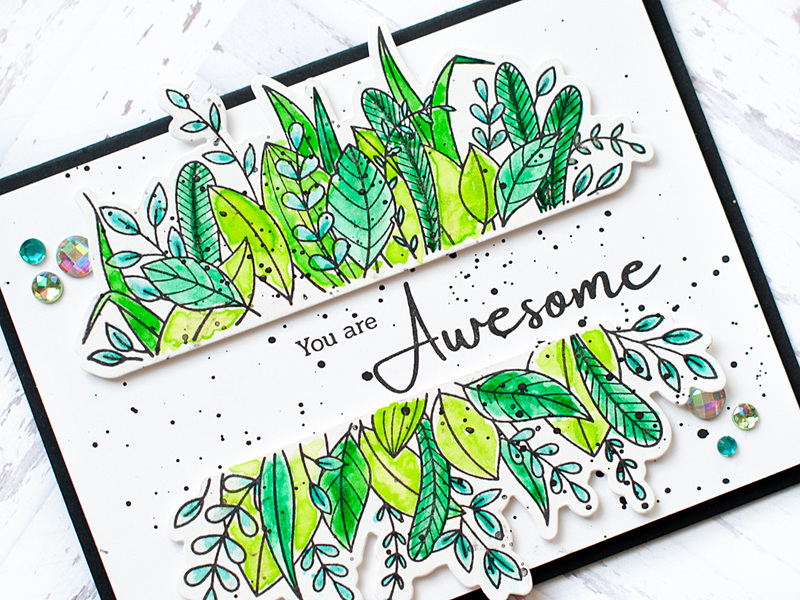 Today I wanted to share how different these images look just by changing the way you stamp the outline - they are each colored exactly the same way, with exactly the same colors. 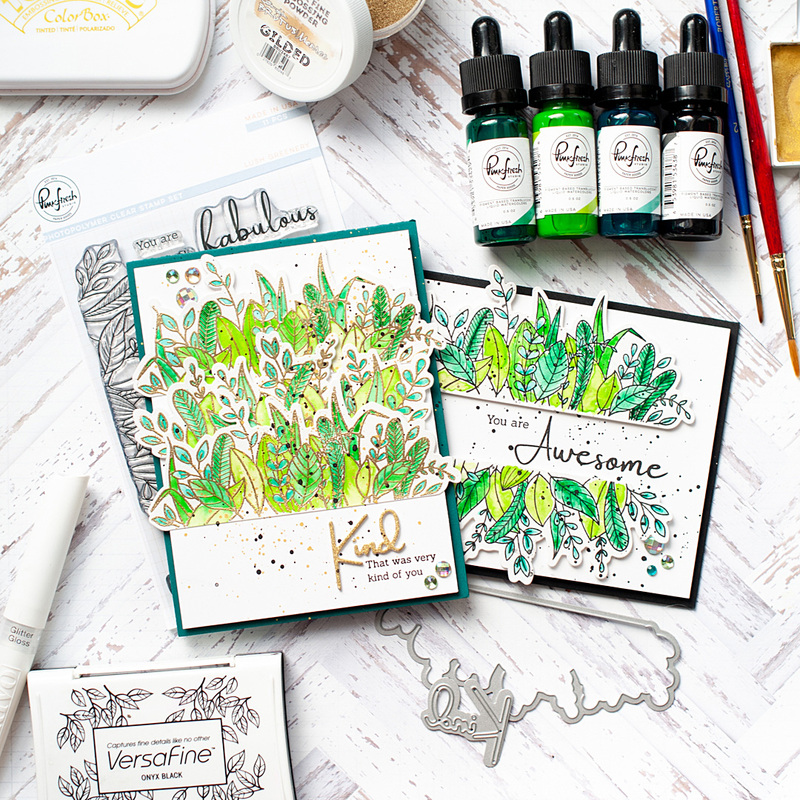 When I looked at the finished results, I couldn't believe how different they actually did look - and the only difference was the black stamping versus gold heat embossing. It's quite a difference! So that was the first step to creating this card! 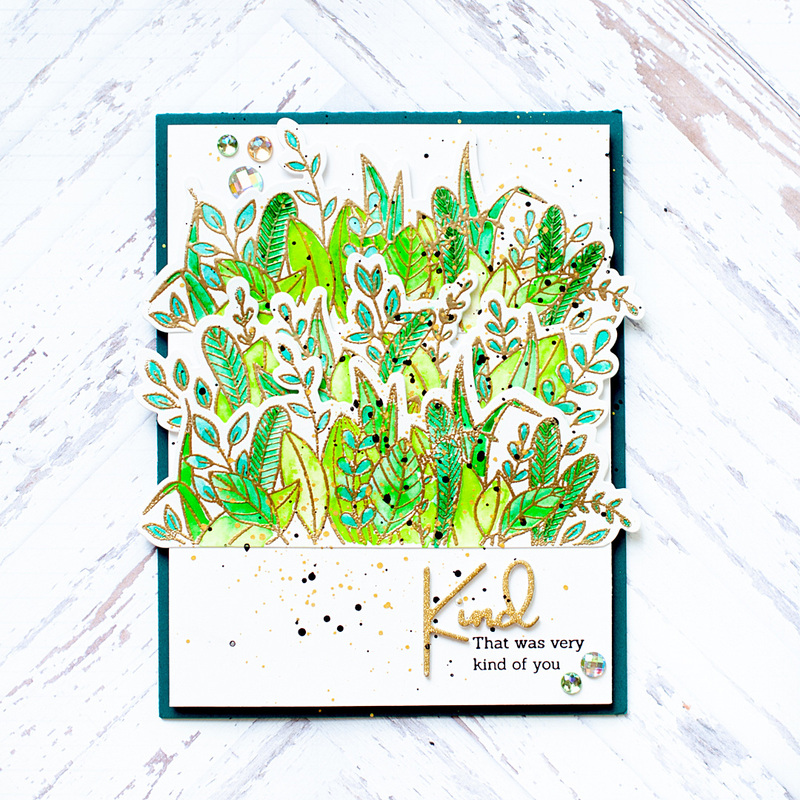 I stamped the leafy images two times in onyx black Versafine, and then stamped & heat embossed it in Gilded embossing powder three times. 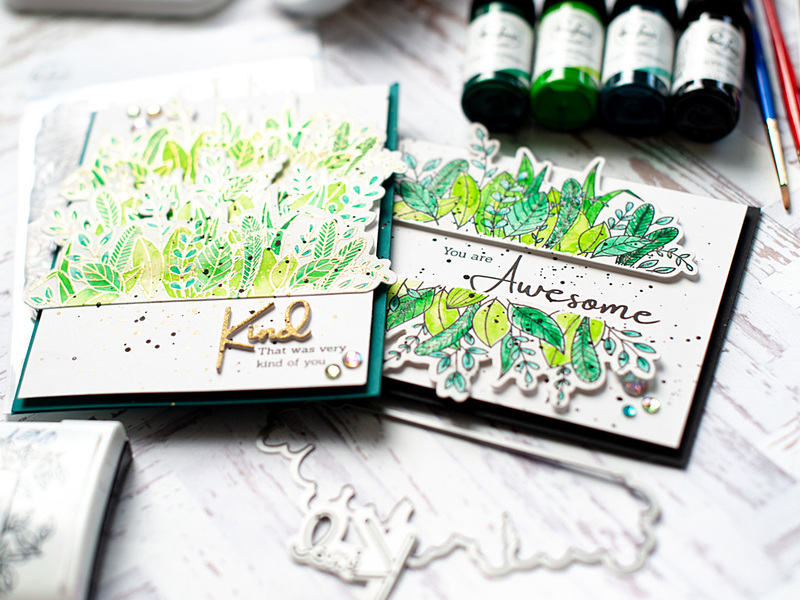 Then I loosely colored them with Pinkfresh's liquid watercolor in Emerald City, Key Lime & Aquamarine. Once those were dry, I did all the diecutting. 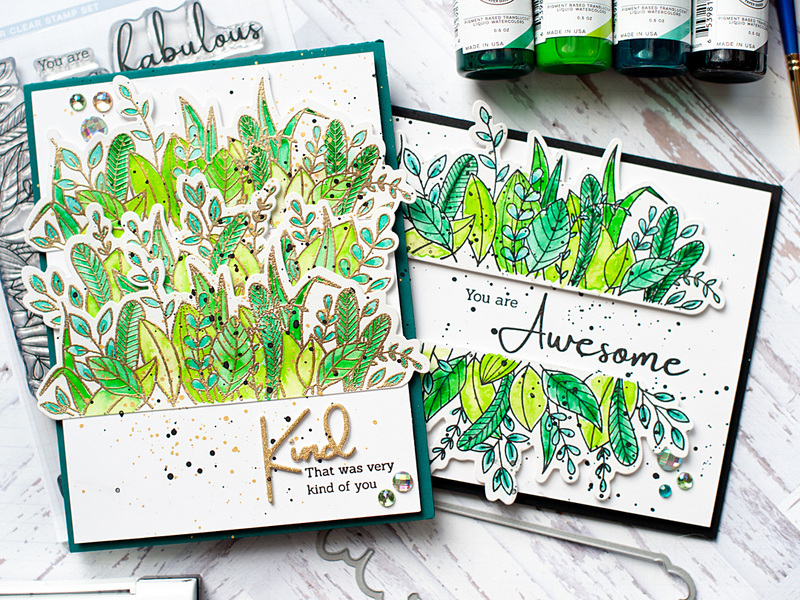 I cut out the leafy images with their coordinating dies first. Then I cut out the word KIND four times: once from gold glitter paper and three times from white cardstock. I stacked and adhered those layers together with a Zig glue pen. 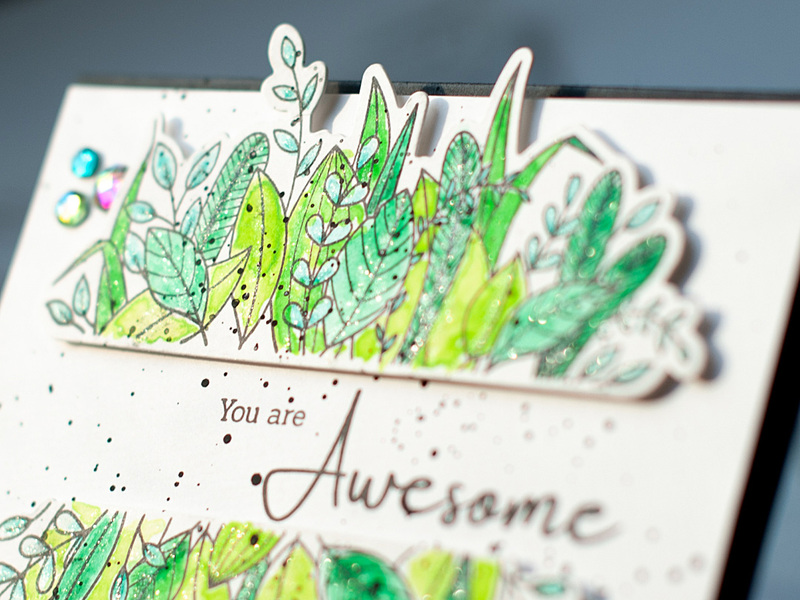 Then I used my MISTI to stamp the rest of the sentiments to white cardstock panels, using the diecut layers as guides. At this point it was time to start putting the cards together. 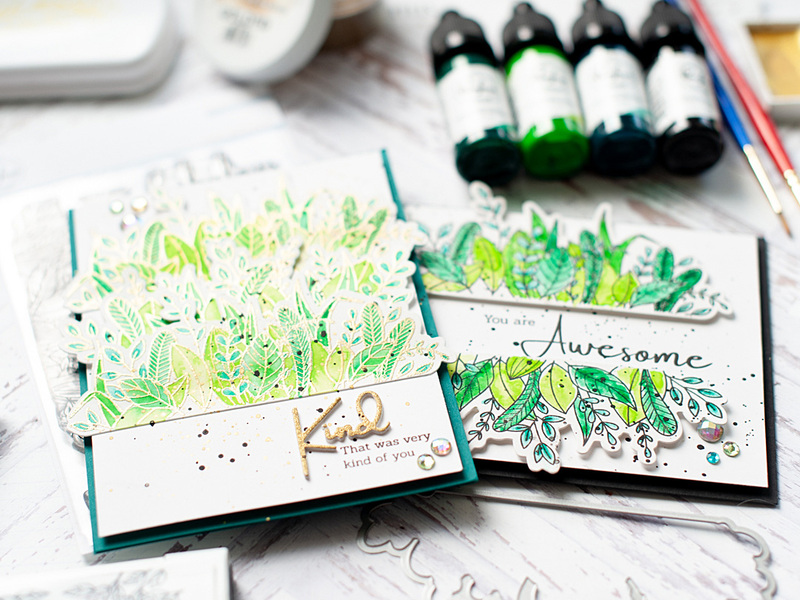 First I mounted the white stamped panels to green & black A2 card bases with foam adhesive. 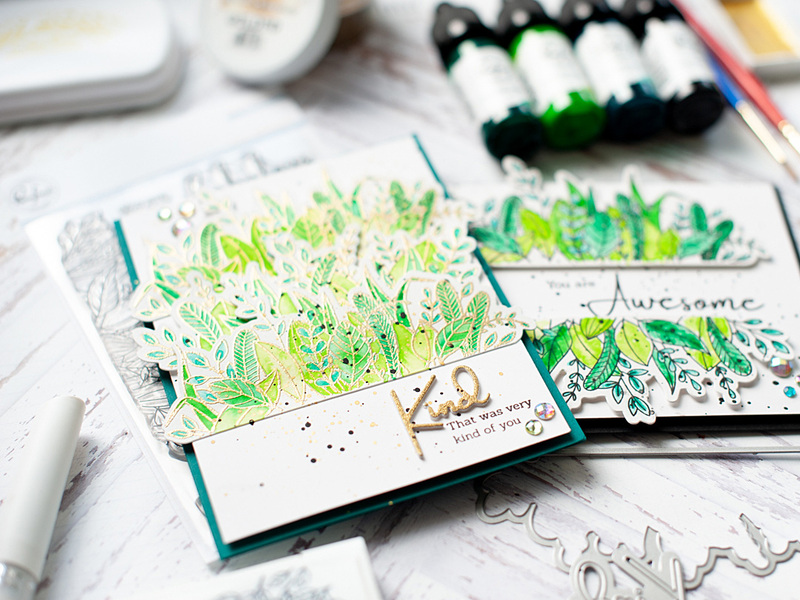 Then I adhered the leafy images to the front of each card as shown, using foam tape to pop them up in places. 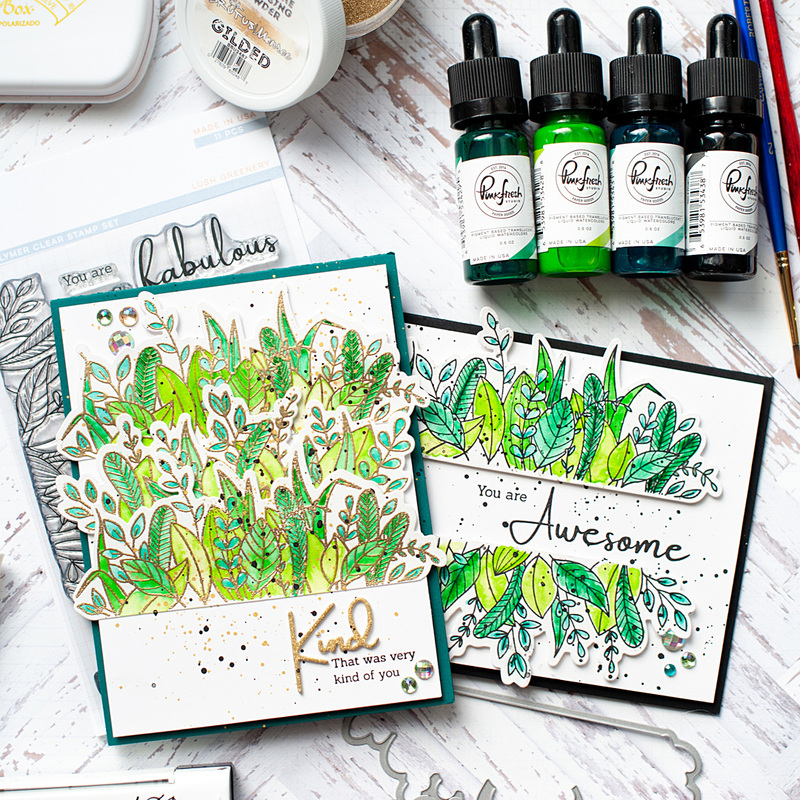 Next I covered the edges of the green card, and covered the stamping by placing the actual stamp over top...then splattered the fronts with Licorice liquid watercolor and set them aside to dry. 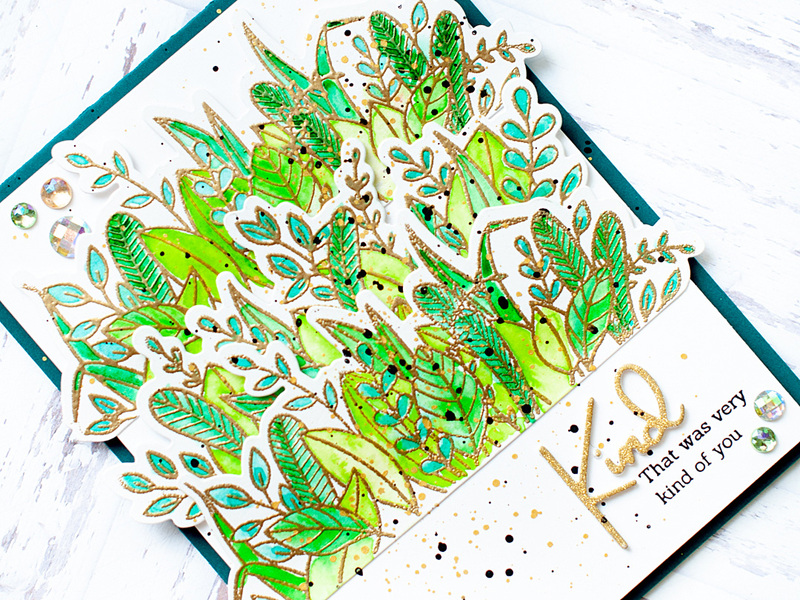 To finish this first card, I added some shimmer to the leafy images with my Tonic Aqua Shimmer pen and accented with some jewels. Don't forget that we are offering up free or discounted shipping this week on all purchases $30+! Just be sure to use the code FREESHIP30 upon checkout. That is all I have for you today, friends! Before you move along with your day, I wanted to invite you to follow me on social media. I hang out on Instagram a lot, and share my work in progress in my stories...along with REALLY cute photos of my dogs! :) And of course, I would love for you to subscribe to my YouTube Channel. 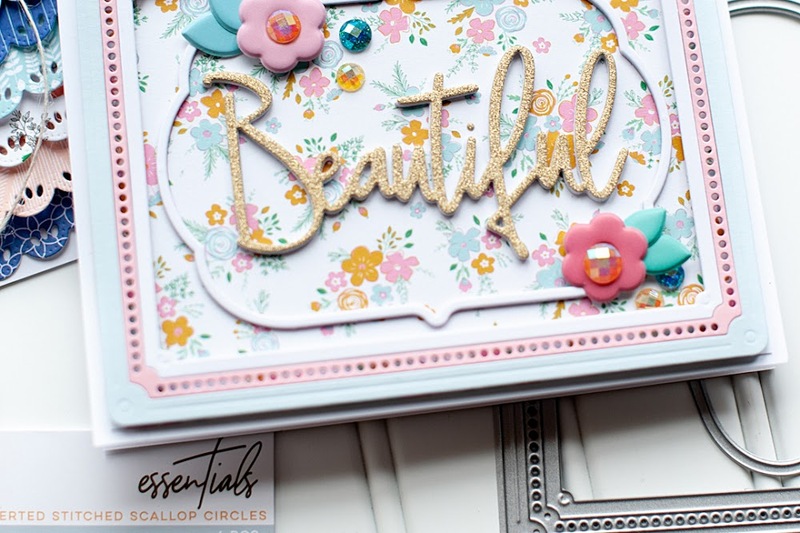 My channel has been pretty quiet recently - I am right in the middle of reorganizing my entire craft area...so it is a bit disjointed. I have given myself a deadline of the end of December to get it completely finished, with my new studio area ready for video creation!! So, there will be a TON more videos in 2019. So thank you for bearing with me until then! I hope that you have a fantastic Friday! Your escalating excitement over your guests' arrival is infectious. I'm beaming with anticipation for you! Hope you have a most marvelous time with your company!